Updated: Thank you all for entering! The winner has been drawn and contacted! I have never thrown clay. As crafty as I am it’s one thing I had never tried. So when the awesome Rachel invited me to come to Birmingham and visit her Aunt Tena’s pottery studio, Earthborn Studios, I couldn’t wait. I had heard of Tena’s pottery before, having enjoyed dining on it at Spring House near Lake Martin. I love the colors and natural organic sense of her pottery. Her pottery is used in many restaurants including Hot and Hot Fish Club in Birmingham and The Belagio in Las Vegas. It was also featured on Iron Chef America when Chef Chris Hastings of Hot and Hot Fish Club defeated Iron Chef Bobby Flay. 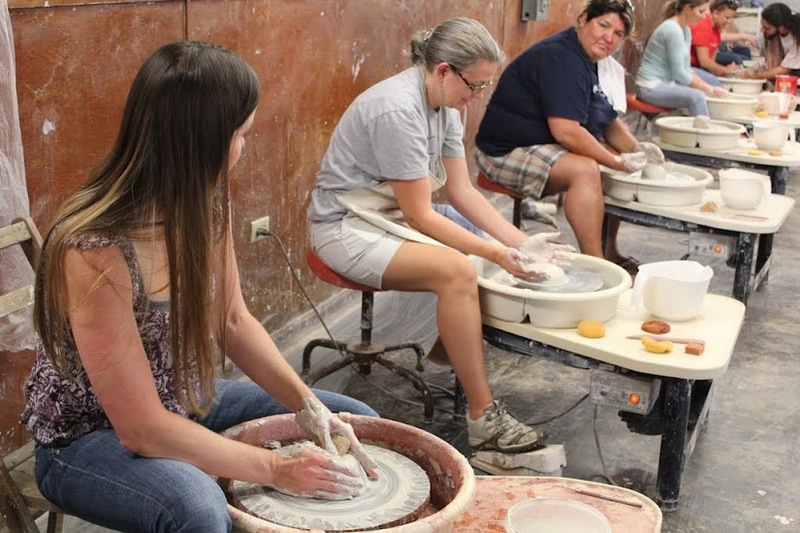 Cahaba Clayworks is the home of Earthborn Studios and offers classes and instruction in pottery. Located in Leeds, Alabama near Birmingham, it also makes for a fun girls’ night out even if you’re an hour or so away! I have so many thoughts about working with clay. Of course I’m reminded of Isaiah 64:8 – But now, O LORD, You are our Father, We are the clay, and You our potter; And all of us are the work of Your hand. I’ll share those thoughts on another day, though. Today I want to share a few photos from the experience and a giveaway from Tena. Tena and one of the instructors, Nabeel, giving us a demonstration and instructions. They both had such a calm way of instructing and teaching us. 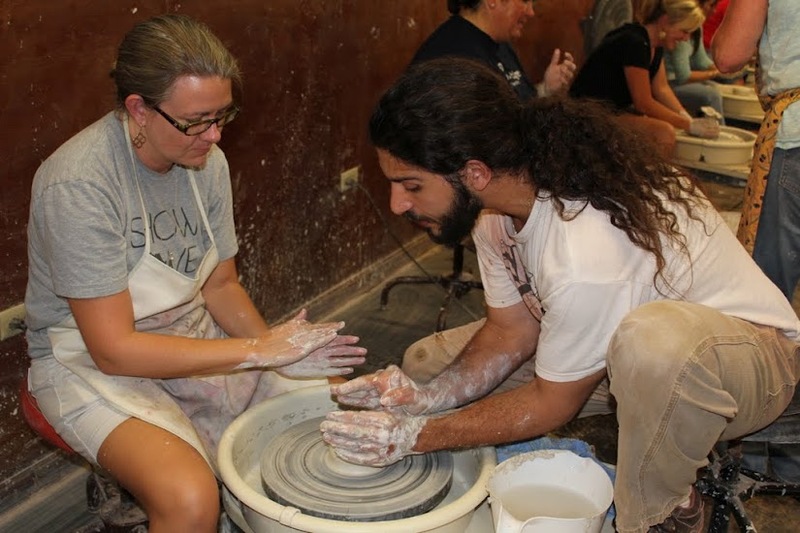 Rachel trying to give me some pointers my first time trying pottery on the wheel. Nabeel helping me get my clay centered. Some of Tena’s beautiful pottery. Are you ready for the giveaway? Tena kindly gave each of us a beautiful piece to giveaway. To enter just leave a comment below. I will choose a winner Friday, September 14. Giveaway open to continental U.S. residents only. Whether I win or not, I think this type of art is beautiful. You’re such a creative person. Glad you are stretching yourself to new heights and learning new things. Hope the kiddo is doing well.